Legacy Dermatology (Bountiful) - Book Appointment Online! 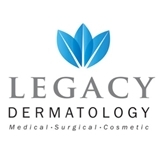 Legacy Dermatology in Bountiful, Utah, is a full-service dermatology clinic that specializes in medical, surgical, and cosmetic dermatological treatments and procedures. The company is led by Dr. Jared R. Heaton, a board certified MOHS surgeon whose expertise spans more than five years of competent service reinforced by a long in-residence training in Florida in the treatment of skin cancer. We provide a high level of service to our customers and offer Mohs cancer surgery at our facility. Dr. Heaton is incredible as well as his staff. Friendly, professional, knowledgable, and fast! Highly recommend.